In medium bowl, mix yogurt and brown sugar. You can use 2 (6-oz) containers of Yoplait® Original 99% Fat Free French vanilla yogurt instead of the yogurt in the recipe if you like. 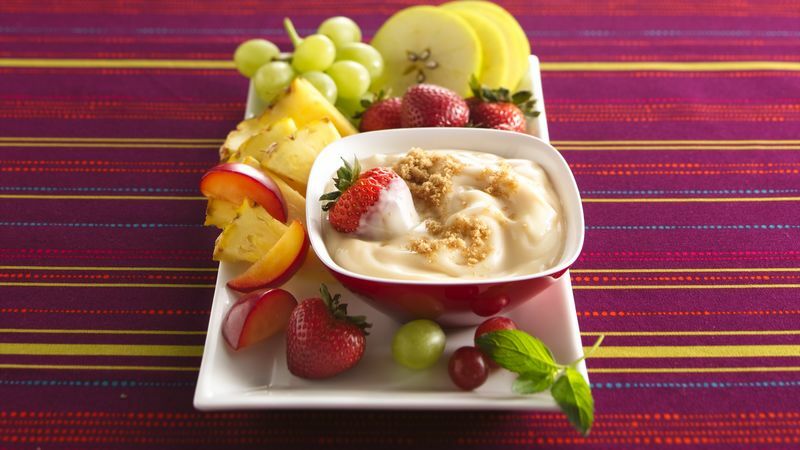 Or your favorite fruit flavor of yogurt will be just as tasty. If you're using fruits like apples and bananas that will brown once cut, dip them into lemon juice immediately after cutting. They'll look fresh longer!